By far and away the biggest asset Biggin Hall has to offer for a Bride and Groom on their wedding day is our stunning location. The grounds, the house and the surrounding countryside are pretty much at your disposal for your wedding day. Biggin Hall receives many requests for weddings and we are unable to accept them all – we make every effort to tailor your wedding to our surroundings – some weddings are therefore not suitable for this venue. So please talk to us about your ideas and we will happily accommodate you and advise you the best we can. 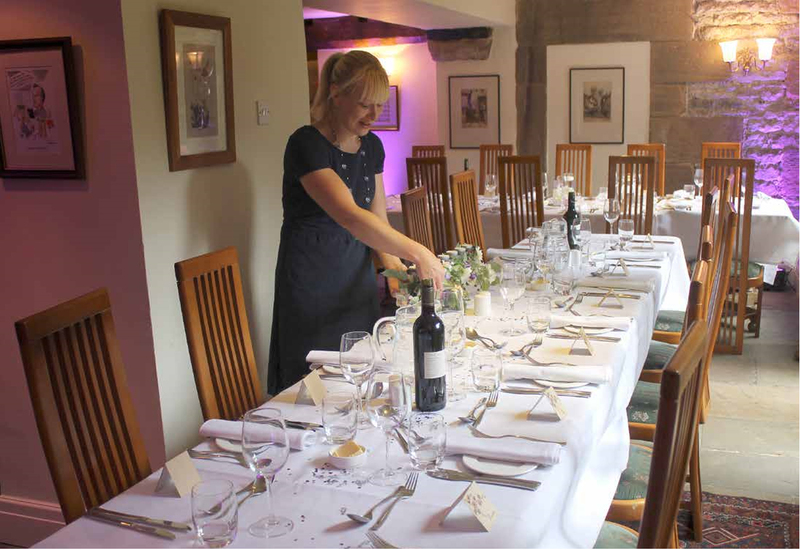 We do have Sample Wedding Breakfast menus but we are happy to discuss what you really like to eat – your favourite dishes - and come up with a menu that suits you and the time of the year. Three courses will cost you in the region of £40 per person for a Wedding Breakfast, we can of course do a buffet should you wish at the same price. Biggin Hall does not offer set 'drinks packages', you pay for as much or as little you and your friends drink. Your arrival drinks can either be served on the croquet lawn or in our library if the weather is not fine. Suggestions for drinks along with our current prices can be found in this section of our website. Our costs are based on the fact that you are not just paying for a meal in a hotel but to have your entire day planned & organized for you, the house and grounds put at your disposal and food and drink served by our staff. Your wedding will also be overseen by you own personal event planner.